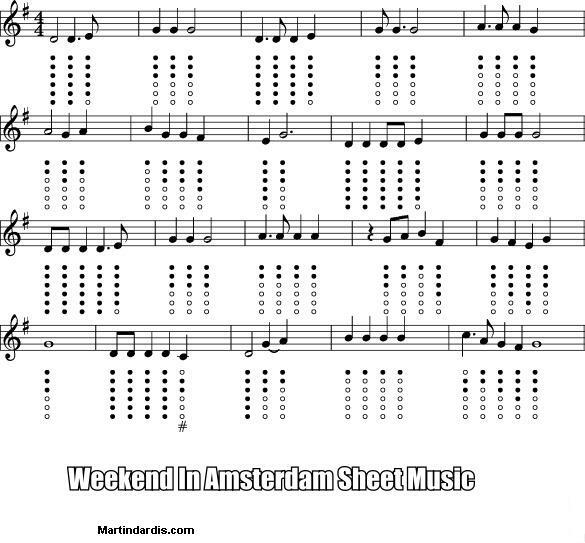 Weekend In Amsterdam Song Lyrics By Christy Moore. Words and music by Barney Rush and Paul McCormack, from the Christy Moore album ''Folk Tale''. The guitar chords are the same as The Craic Was 90 which was also written by Barney Rush.The sheet music and tin whistle notation are included.